What happened when this reporter tried to film a melting McDonald’s soft serve in 41C heat. THERE'S a lot you can do in 12 minutes. A short workout. A trip to the grocery store. Catch up with relatives over the phone. You can also wait patiently for a McDonald's soft serve ice cream to melt in 41C heat. That's how this reporter spent part of his day as Melbourne sweltered through its hottest day in years. The brief was simple: Film some food in the sun. I tried frying an egg on the roof of my car but that didn't really work like it did in this video featuring a Northern Territory police officer and his over-easy breakfast. I filmed some icy poles melting. Then, as the mercury reached its peak, I went through the McDonald's drive-thru and purchased two soft serves (one for me and one for the experiment). I placed it directly under the sun in an aluminium tray because I'm not about to make a mess. Then I waited. I shielded my face from the sun but it was useless. My face was a sweaty mess. For seven minutes I waited as the resilient McDonald's signature item stood up against the full force of the midday sun. Like the Coles ice cream sandwich that came before it, the McDonald's soft serve would not melt. It took so long to melt that my iPhone melted first. 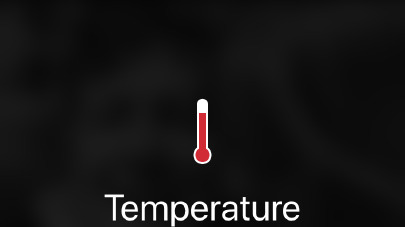 "iPhone needs to cool down before you can use it," the alert said. Five full minutes later, the ice cream finally took on puddle form. McDonald's says it does not put any preservatives in its ice cream - the same ice cream it uses for soft serves and sundaes. The temperature on Friday in Melbourne was expected to get to a top of 42C but reached 41 shortly after 1pm, according to the Bureau of Meteorology. It was even hotter north of the city in regional centres like Swan Hill and Mildura where the mercury topped 45C and 44C respectively. A total fire ban is in place across the state.